So I was talking to a friend of mine today on IM about his lunch. 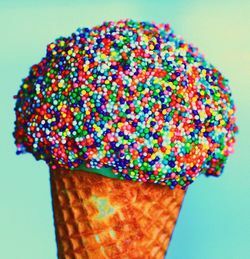 Candy sprinkles on ice cream. I need to get me some of that. This entry was posted in Food, Friends, Humor, Internet, Life, Relationships, Writing and tagged bacon, bacon sprinkles, chain mail, food, friends, Humor, ice cream cone, IM, Internet, life, lunch, pulled pork, Relationships, sprinkles, twiced cooked pork, writing. Bookmark the permalink.